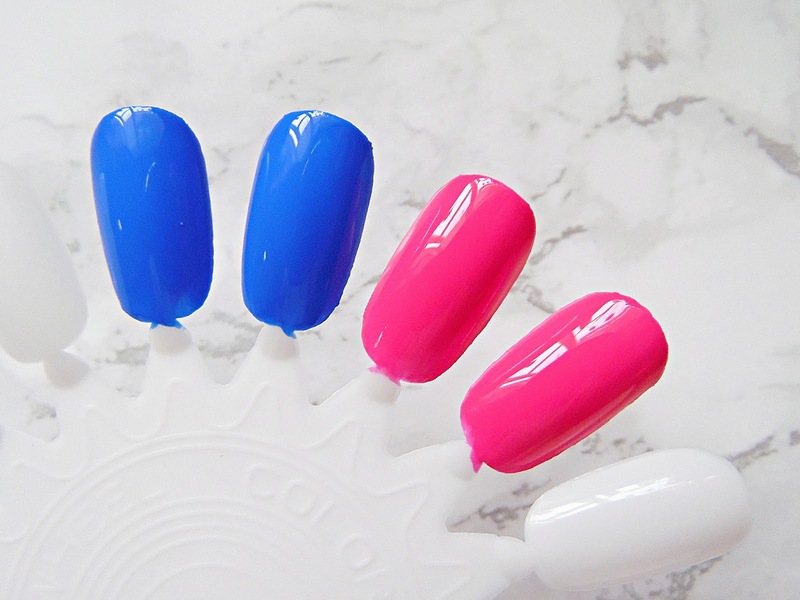 I love bright nails for summer, pink and blue nails are my favourites! 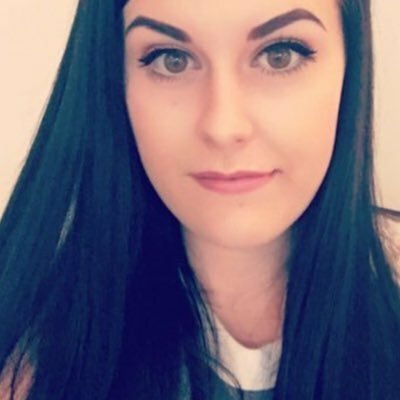 Seventeen have so many different shades available in their Gel Colour range that you are bound to find the shade for you! I love nail polishes that have the gel like finish to them as you can't beat glossy nails with a long wear formula. Swatched Hurricane and Raspberry WooWoo. In the Seventeen Gel Colour range there are 15 different shades with long lasting shine and being chip resistant. I am such a big fan of budget nail polishes as all of my favourite polishes are from the high street! The two shades I have are perfect summer shades, Hurricane is a gorgeous blue and Raspberry WooWoo is the perfect raspberry pink. These nail polishes claim to apply to the nails without streaks thanks to their brush which loads on the colour and delivers great coverage in one stroke! These polishes claim to also have up to 8 days of wear time - how amazing does that sound! These nail polishes must be some of the glossiest ones I have in my collection, you can see from the swatches just how shiny and glossy they look! With some glossy nail polishes I find that after a couple of days the shine disappears but with these nail polishes it lasts until you remove the polish from your nails. The brush with these nail polishes is perfect as it is wide enough to coat the nail with polish with just one stroke but it doesn't go onto the skin around the nail. The brush also picks up the perfect amount of polish for streak free coats. I noticed with these nail polishes that they both dried extremely quickly, within just a couple of minutes my nails were completely dry so I didn't have to worry about messing them up! I found it was best to apply two coats on each nail to ensure that it is the full pigmentation and brightness, I did quite thin coats and my nails were very opaque with the two coats. In terms of wear time, I don't like to use base or top coat as I haven't ones that I like or that make much of a difference, my nails are also in pretty bad condition so I didn't expect these to last too long on the nails. However I found that they lasted for around five days which I thought was pretty impressive as I have very bendy nails! 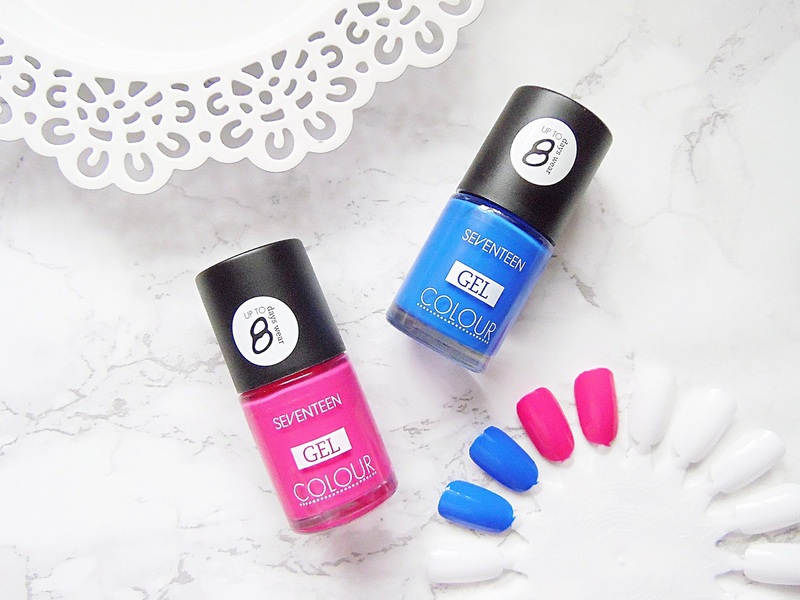 The Seventeen Gel Colour Nail Polishes retail for £3.99 - HERE.